For smaller classrooms or those with less storage space, our Colouring Pencils 12pk offers a variety of colours without taking up valuable space. Also ideal as a top up pack for an existing collection, these brightly coloured and vivid pencils provide an invaluable resource to young children learning about the art of mark making. 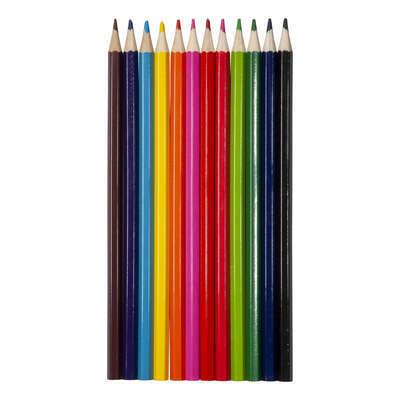 Provided in a protective case, each of these pencils is provided pre-sharpened to enable crafting to take place instantly while the faceted bodies are easy to hold during the most adventurous of colouring sessions. Coloured pencils also made a great non-permanent option for document marking. For larger classrooms, our Colouring Pencils Box of 288 features every single colour variation you could dream of to ensure you are ready for every project.